There are only two things that are more exciting than shooting in a new place – having a beautiful couple on the other side of the lens and climbing rocks in the forrest with a waterfall in the process. 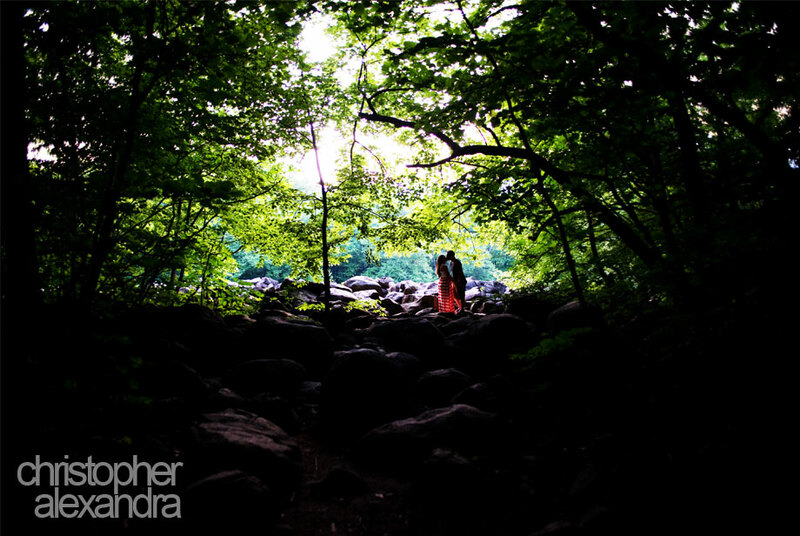 We got it all at Michelle and Jim’s engagement session at Ringing Rocks! This couple, so beautiful together and so obviously in love, felt right at home with the beautiful surroundings and the session turned out to be nothing short of amazing! From the huge field of rocks, to cute sun-filled forest meadows, to the waterfalls – Ringing Rocks quickly made it to the list of our favorite places. Michelle and Jim braved the rock climbing, hanged out on steep cliffs, and balanced on fallen trees – for all of which we are truly thankful because the resulting images came out truly breathtaking. With lots of love fluttering around, Maria and Mike were a pleasure to photograph. An amazing day and an amazing couple!